BSPHCL JE Recruitment 2018 Notification is out recently. Now, the company released this Advertisement, for the available 575 Junior Engineer Vacancies. And all those people who are interested and willing to do the job in such Government Organization can go ahead and apply for this BSPHCL Junior Engineer Recruitment 2018. Well, the Starting Date to apply for this 7th June 2018. And all the people can submit their filled application form in the prescribed manner before the final date. And the closing date to submit the filled application form for the BSPHCL JE Openings 2018 is 28th June 2018. Therefore, apply before that date. As the officials will not accept the application after that. And the officials of the Bihar State Power (Holding) Company Ltd, for the company and its subsidies North Bihar Power Distribution Company Limited (NBPDCL), South Bihar Power Distribution Company Ltd. (SBPDCL), Bihar State Power Transmission Company Ltd. (BSPTCL) & Bihar State Power Generation Company Limited (BSPGCL). Well, all those people who are searching for the Government Jobs in Bihar can make use of this Opportunity. 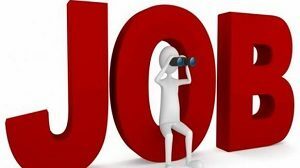 Now, check all the list of requirements, that the officials of the Bihar State Power (Holding) Company Ltd mentioned clearly in the BSPHCL JE Recruitment 2018 Notification. Well, before anything, an individual should first check about the Educational Qualification. As per the information we gathered from the official advertisement, an individual have to finish their Full time 3 years Diploma in Civil / Electrical from a recognized Institute/ College in India with minimum Marks. Remember that merely having the Qualification will not guarantee you the callback. Therefore, try to apply for the BSPHCL Junior Engineer Openings 2018, only if you have the above stated Educational Qualification. Now, after the educational Qualification check more other Requirements. The officials are accepting the applications in Online Mode only. Check the steps, provided down in this post. BSPHCL JE Recruitment 2018 Notification For 575 Junior Engineer Vacancies is released by the officials of the BSPHCL. And all the interested people can apply for it, after checking the total details stated in the BSPHCL Junior Engineer Notification 2018. Well, Now, try to find the important details from the above table. And it is going to help you in understand all the information about the BSPHCL JE Recruitment 2018 Notification. After checking the table, an individual will have an outline related to the Company name or the institution name, that released this Advertisement. Along with all these, an individual will also find the details about the Name of the position, Number of Vacancies available in total. You can also find the mention of the official site of the Bihar State Power (Holding) Company Ltd (BSPHCL) & NBPDCL, SBPDCL, BSPTCL, BSPGCL too. So, that you can go over there for more details. Along with all these, an individual can also find the Starting Date to apply as well as the closing date. Examination Date is also mentioned. So, all the people can check the Post-Wise Vacancies information we are providing in this particular sections. First and Foremost of all, individuals have to check about the Educational Qualification before applying for any Recruitment. And same applies for the BSPHCL JE Recruitment 2018. Well, as per the source from the official BSPHCL Junior Engineer Notification 2018, an individual need to finish the Full time 3 years Diploma in Civil / Electrical from a recognized Institute/ College in India with minimum Marks as the Educational Qualification. For other details, you can always check the official site of the organization or advertisement. Next, to the Educational Qualification, an individual should check about the Age Limit. Because, having the correct Age along with the Education while applying for the BSPHCL JE Recruitment 2018, is important. As per the details in the advertisement, an individual can have the minimum age of 18 years. While the Maximum Age for the Males is limited to 37 years. And a female can apply for the maximum age of 40 years. And there age relaxation available. Go through the BSPHCL Notification 2018, for age relaxation information. Now, from all those people who submitted the application form for the 575 Vacancies, the officials of the Bihar State Power (Holding) Company Ltd are planning to hire the best and efficient candidates. And for this purpose, they are conducting the Recruitment Rounds. Now, the selection process, consists of the Computer Based Test follows by the interview. An individual can go to the interview, only if they clear the Written Test. As per the information from the BSPHCL JE Recruitment Notification 2018, an individual has to pay the application fee, that is fixed by the officials of the Bihar State Power (Holding) Company Ltd. Then only the application submission process is considered as complete. Based on the information in the advertisement, applicants have to pay Rs.1,500/- if they are from UR/ BC/ EBC/ SC/ ST (Non-Domicile of Bihar State). Well, the C/ ST (Bihar State Domicile Candidates)/ Divyang (Any Category Candidates) can pay Rs.375/- as the application fee. Try to check the advertisement, before making the payment. Officials of the Bihar State Power (Holding) Company Ltd are offering a good salary for all the selected people. Basing on the data, we gathered, an individual will get Rs. 25,900/- to Rs. 48,900/- Per month as the Salary. The Steps available in this section are going to help an individual to apply for the BSPHCL JE Recruitment 2018. Check them. Go to the official site of the Bihar State Power (Holding) Company Ltd at bsphcl.bih.nic.in. Then on the home page, navigate to the Recruitment Section. In that, you will find the BSPHCL JE Recruitment 2018 Notification For 575 Junior Engineer Vacancies. And recheck and submit the application form on or before the closing date. Satisfied with the details listed in this post, about the BSPHCL JE Recruitment 2018? then check more such helpful articles from our site Sarkarireruitment.com.